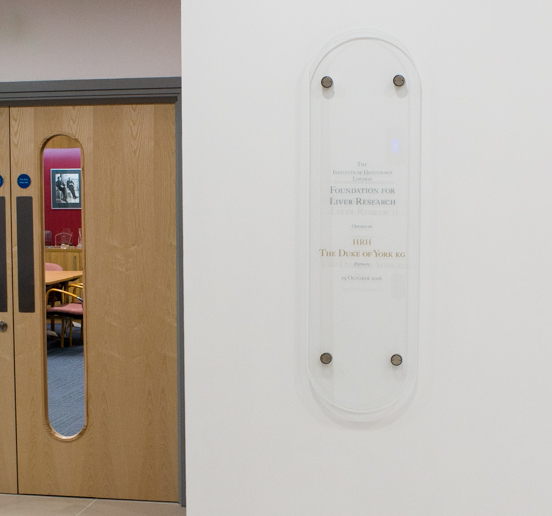 We are proud to have designed a commemorative plaque for the Institute of Hepatology's new building. 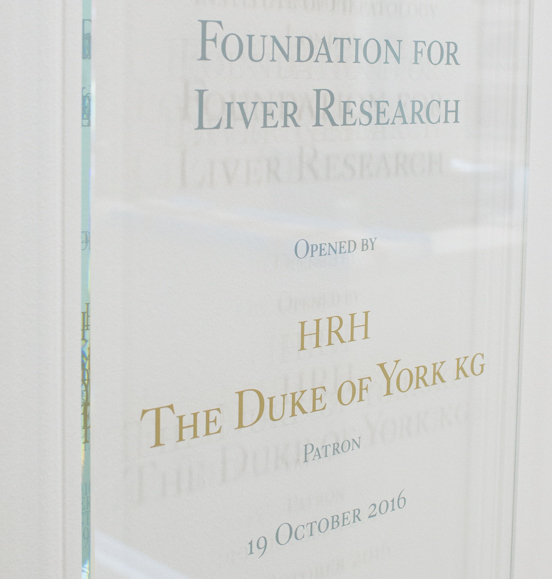 Affiliated with King's College London, the institute conducts independent research into liver diseases. 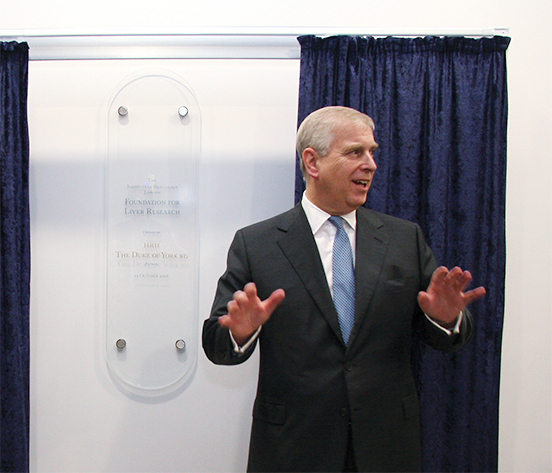 HRH the Duke of York, KG unveiled the plaque at a short opening ceremony. The unusual 'lozenge' shape matches the doors. We specified toughened glass and used stainless steel fixings to 'float' the plaque in front of a pristine white wall. Our restrained design befits a centre equipped with state-of-the-art laboratories. Elegant type in grey and gold was applied to the glass and this cast subtle shadows onto the wall.